Maybe this is the case for your family as well? Now that longer days and warmer weather are upon us, you may find that trips to the library become a more regular occurrence. And, whether your children are 2 or 12 (or 16 for that matter), a good picture book can bring laughter, empathy, and rich timely discussion on a variety of topics. But the best part of a picture book is that you can read them WITH your children. Regardless of how old your tribe may be, I believe that no child is too old to listen to a story being read to them by someone who loves them. Here is a list of my personal favorites - I guarantee that they will bring joy as they are read! On a very hot summer night, while everyone is very busy, the power goes out and nothing worked at all. What does a family do with no power? This brilliant story addresses how much fun we can have when we are forced to stop and spend time together without technology. Games can be played, laughs can be shared, and stars can be gazed at. Eventually the power does come back on and you will have to read the ending to find out what happens when everything went back to normal…….. Some books are meant to be read and read again, this is one of them. Willow is a delightful little girl who finds it very hard to speak up to a classroom bully named Kristabelle. Kristabelle is the boss, and when she spoke, everyone did as they were told. When Kristabelle brings a pink sparkly piece of paper to school with her birthday party list on it, things go from bad to worse. She wields the paper as a tool to get her classmates to do all sorts of things, and while Willow wants to speak up, nothing comes out. One by one Kristabelle kicks people off of her list, but in a courageous turn of events, Willow takes a stand and without saying a word she turns the tides of bullying. What will bring rich discussion after reading this with your child is how Willow responds to Kristabelle when the bullying is over. It is a universal lesson in true forgiveness for both children and adults. If you have an art lover at home, this is a beautiful and inspirational story to read together. This picture book is based on a true story about the now colorful East Village near San Diego, California. Mira lives in the heart of a gray city and she loved to doodle, color, and paint. Because of this, her bedroom was filled with color and her heart was filled with joy. When Mira meets a man with a pocket full of paintbrushes, things change. This muralist offers Mira a paintbrush of her own, and yow-wee the community begins to radically change from drab to pizazz! The entire neighborhood joins in and when they are finished maybe something is beautiful! This hysterical story will make all of your tribe laugh out loud! Meet Bruce, a very unconventional, grumpy bear who LOVES very fancy recipes that he finds on the internet. When a recipe goes VERY wrong, Bruce finds himself in quite a pickle-an unwelcome surprise! Bruce tries to make the best of it, but nothing worked. So, after some creative problem solving, Bruce decides to pack his bags, board a bus, and………the ending will bring a smile to your faces! 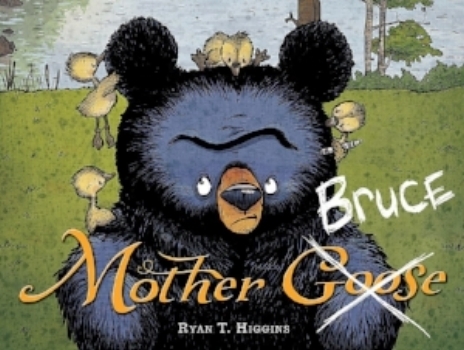 Side note: Ryan T. Higgens has kept Bruce alive in Hotel Bruce and Bruce’s Big Move. I would highly encourage you to check out ALL of these books at once as your children will thank you! 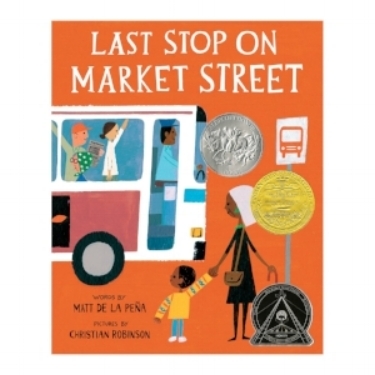 While this book has won the Newberry Medal (2016), The Caldecott Honor Book award (2016), and the Coretta Scott King Illustrator Honor Book award (2016), it is more importantly a beautiful testimony to community, service, and appreciating the small blessings in life. Meet CJ and his Grandma, Nana. On Sundays they go to church and then take a bus ride together to a very special destination. CJ is not happy about the weather, the bus ride, or their destination. He sees things that he wants and doesn’t understand why he can’t have them. Nana, on the other hand, is full of insight and wisdom that will cause the reader and listener to reflect on the beauty that shines in what others may see as dirty or broken. An added bonus to this book are the amazing illustrations by Christian Robinson (my current favorite illustrator). His vibrant style creates a unique experience for the reader as they look at the real-life beauty in the world through CJ’s eyes. If you read one picture book with your children this summer, I hope it will be this one. This is a story about lost opportunity. About treating someone new unkindly and feeling the sting of a choice you cannot correct. Chloe has no idea why she does not want to be Maya’s friend, even when it is obvious that Maya has done nothing to deserve this imposed isolation. Chloe and her friends ostracize Maya time and time again and refuse any advance of friendship that Maya makes. Then one day, Maya is gone. Chloe’s teacher then gives a lesson on kindness and shares with her students that ONE small act of kindness ripples out to change the world. The story does not have a fairy tale ending, but one that provokes the reader to ponder on the theme of this story-kindness counts. The universal message of loving one another will touch readers of all ages, including older readers that you may have in your home. This book WILL spark beautiful conversation! Side note: I have done the activity that Ms. Albert does with her students. It is very powerful to read this story and then have children drop a stone into water and watch the ripples. There are many social, emotional, and biblical lessons that can be connected to both this story and the activity. Whether you are dear friends of Gerald and Piggie already, or have never heard of them before, please do yourself (and your little or big people) a favor and grab as many of these books as possible this summer! They are hysterical, easy to read, and can be read over and over again! Do you have a reluctant reader in the house? Split up the parts and use these books as a quick reader’s theatre. Your reluctant reader will find success with the simple text, and you will all be laughing as you take turns creating voices for Gerald and Piggy. Some of Willem’s books also have additional characters who bring additional joy to these stories. If your family enjoys these books, check out the newest installments under the title Elephant & Piggie Like Reading! by authors such as Laurie Keller, Dan Santat, and others. These classic books are a perfect read aloud for busy boys and girls who may struggle to sit for a read aloud. The details and crazy ideas are a surefire way to engage even the most active nonreader around. Van Dusen has hit the jack pot with a house and car that engage the readers imagination (and for Moms I have to say that when you see the kitchen you will be drooling with envy!). The illustrations are so detailed that you can spend a leisurely afternoon, or quiet time on a hot or rainy day, pouring over the details. This will be one that you will have to stop and enjoy page by page! I know this is cheating just a little bit. This is actually a chapter book, but it reads just like a picture book! From the first page, you will fall in love with Mr. and Mrs. Watson and their dear pig Mercy. Each book is filled with porcine wonder and adventures galore! Plus, your children may develop a new affinity for hot buttered toast, and lots of it. This would make an excellent bedtime story that you could read one chapter (or two because they are quite short) at a time and savor each page with a little one that you love. Side note: While the illustrations make this series seem to be for the younger set, I know that children of all ages enjoy the hilarity that Mercy brings to these stories. Each book in the series is filled with adventure and innocent fun. I have middle school students request this book often because it is such a good read! 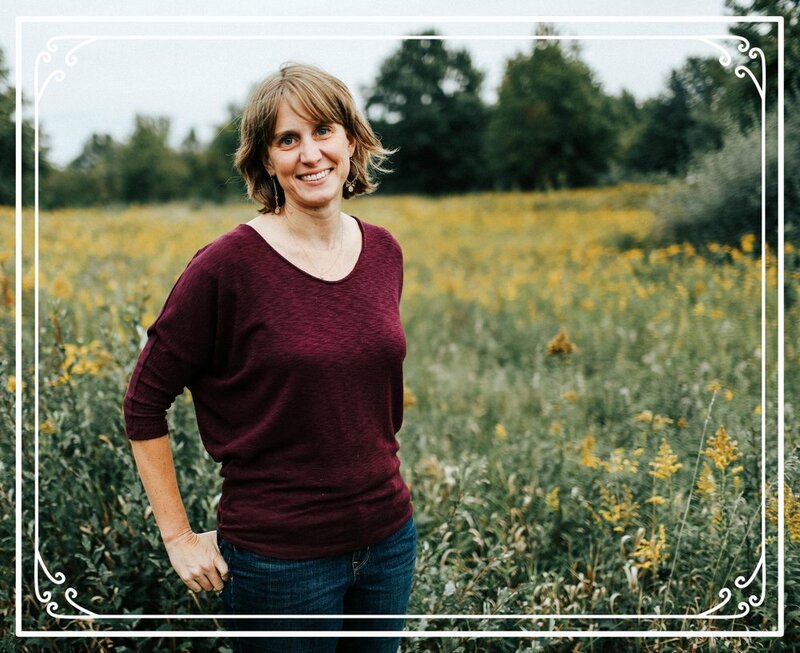 About the author: My name is Kara Story. I am Mom to five teenagers ( 18, 16, 16, 14, 13) who still love picture books! I am a full time school librarian to lovely students in grades pre-k to eighth grade. Our school culture encourages a love of reading, and so I am blessed to focus on what it truly important-rich and powerful literature that changes the lives of the students that we love. In my opinion, I have the best job on the planet! In my free time I love to read, read, and read some more. I believe that there are no "non-readers"-just people who have never been introduced to the right book.